I’m trying to clean the lid of my Instant Pot after making stock, and I can’t get the smell out! I even steamed the lid for 40 minutes with plain water and with a tiny bit of vinegar after I’d washed it a second time, but the smell is still there. Help! 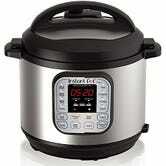 Ah the Instant Pot! Look, I’m gonna level with you: I was already terrified of these things for several hundred reasons that we won’t get into because this isn’t my personal therapy session and also, wow, you don’t want that kind of insight into my deeply troubled mind TRUST ME. Then I found out that, like, nobody is washing their Instant Pot and now I’m basically traumatized by a small kitchen appliance. But facing one’s fears is a good and healthy thing to do and so today we shall cover the finer points of keeping an Instant Pot clean and in good working order. Before we get into the specifics of cleaning all your Instant Pot parts, and how often to do so, let’s review some of the tools you’ll want to use for the job. For most of your Instant Pot scrubbing needs, we return, once again, to my beloved Dobie Pad. 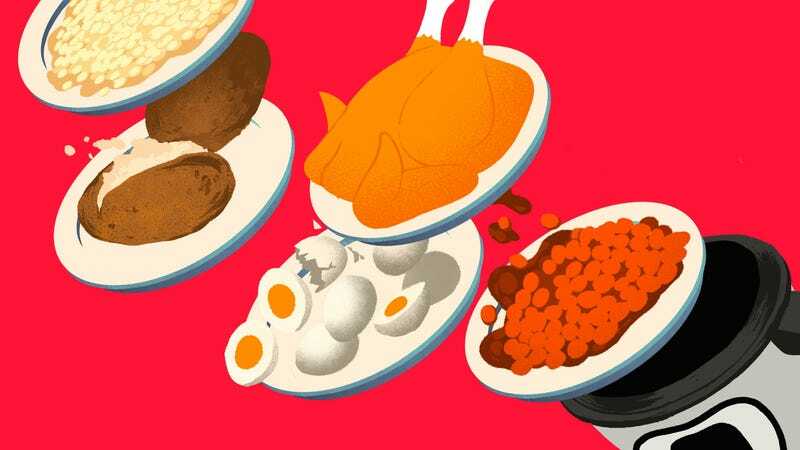 Here’s why: Because the Instant Pot relies on steam to do much of its work, food (and smells! We’ll get to those in a sec.) can linger, and linger, and linger. So you’ll want a scouring sponge that can scrub stuck-on food away, but Instant Pots should never be cleaned with steel wool or even abrasive scrub sponges like the yellow and green Scotch-Brite Scrub Sponge, the green side of which can cause scratching; the yellow side is A-OK to use for washing Instant Pot parts, but may not be tough enough to scrub away stuck-on food. So! Stick with the Dobie. Another good tool is a soft-bristled toothbrush, which you can use to scrub any nooks and crannies, or small parts, that the Dobie can’t quite get into. 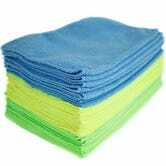 For cleaning the exterior, microfiber cloths will do a great job of wiping away streaks and fingerprints and food splatters. 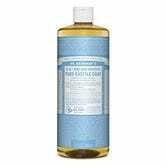 When it comes to nuking lingering smells from an Instant Pot, Dr. Bronner’s Pure-Castile Liquid Soap is the stuff you want — any scent, or unscented, is fine! Baking soda, too, can help with odor-removal and can also be used in concert with a damp Dobie to add extra scouring power, since it’s a very mild abrasive. Good news! Most of the Instant Pot parts are dishwasher safe. If you don’t have a dishwasher, or if for whatever reason it’s just better for you to wash your Instant pot parts by hand that’s totally fine too — dish soap (possibly, as we discussed, Dr. Bronner’s for its efficacy on smells), hot water and a Dobie are all you need for the job. Bad news! You should be washing almost all of your Instant Pot parts after every use. I mean, you don’t have to. You’re an adult with free will and if you choose not to wash your Instant Pot parts after each use, who am I to stop you from living your life in exactly the way you want? Still though … just wash the thing, okay? The inner pot, i.e. the part where the food goes, is dishwasher safe, and should be washed after every use. The lid Uh so yeah, I guess somewhere along the way a whole bunch of you decided you just didn’t need to ever wash your Instant Pot lids? The problem here is that the the lid is actually one of the parts that gets the dirtiest during use, because of food splatters and oily cooking residue. So, you gotta wash it after every use. Or not! Like I said, I’m not the boss of you. 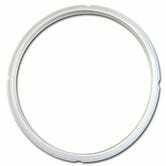 The sealing ring, the flexible silicone ring that goes between the pot and the lid to keep steam from escaping, is removable and dishwasher safe BUT it should only be placed on the top rack of the dishwasher. It, too, should be cleaned after every use to ensure it doesn’t retain smells from that batch of Texas Bowl of Red you made last month. If it develops a lingering odor, the thing to do is to soak it for 10 minutes in Dr. Bronner’s diluted in hot water. The exterior of the machine can be wiped down with a damp dishrag, microfiber cloth or even paper towels. It’s a good idea to do this after each use to remove food splatters and residue from grimy fingerprints but I’m not gonna press my luck by insisting on it. The small parts like the quick release handle, the shield that covers the steam valve and the condensation collection cup do not have to be washed after every use of your Instant Pot! But they do need to be washed from time to time — say, once a month if you’re a regular Instant Pot user? Sure! — and hot, soapy water is all you need for the job. Dry the parts well before replacing them. Speaking of replacing things! If the sealing ring does take on a lingering odor that Dr. Bronner’s can’t take care of, you can order a replacement ring for not too terribly much money. Before you do that, however, you may want to do a turn on what our LW did and try deodorizing it by using the steam setting on the Instant Pot. Fill the inner pot with 1 cup each water and white vinegar — as an aside, I think where LW went wrong was simply in not using enough vinegar — and run the pot on the steam setting for 2 minutes. Then let the pressure release naturally until the Instant Pot unlocks, take the sealing ring off the lid and let it air dry.